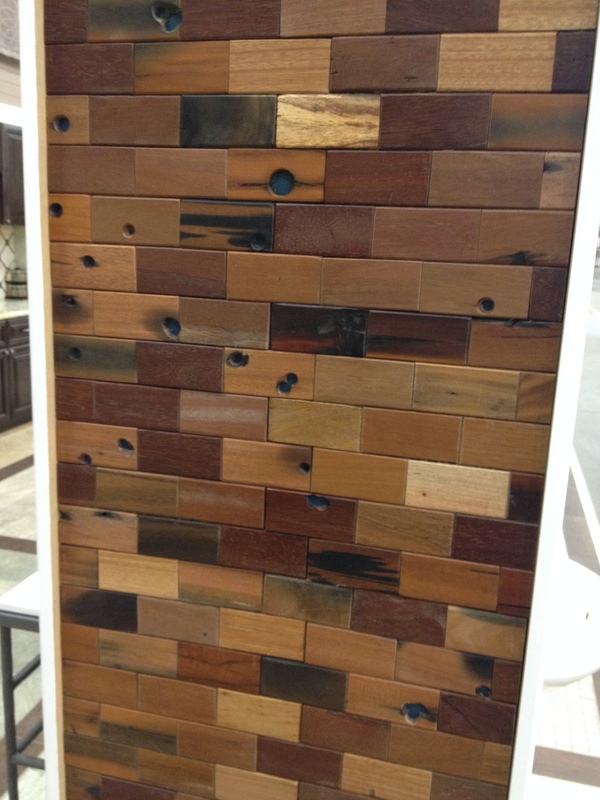 I was looking for tile for a client this week and discovered these really cool tiles. I’ve seen them at both Capco and Floor & Decor, so there is a price point to fit different pocket books. (Pocket book – I don’t think I’ve heard that since my grandma used to say it.) 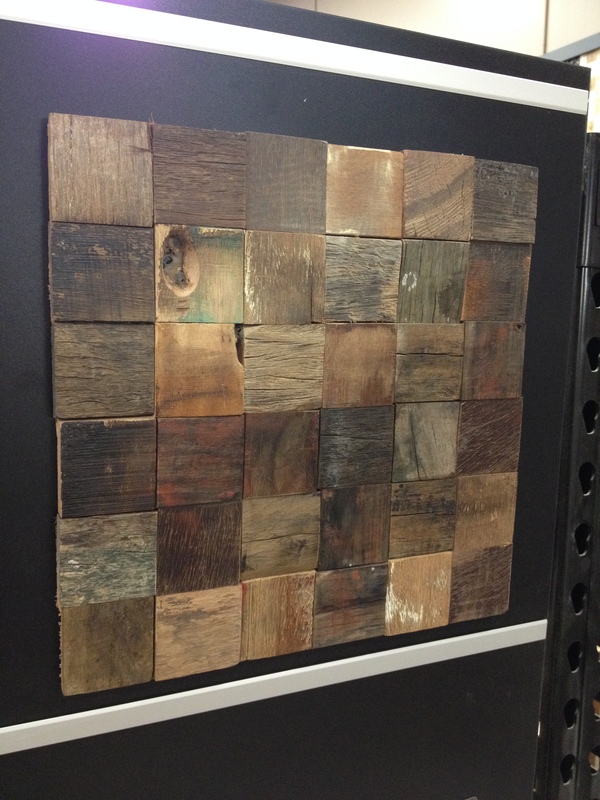 The tiles in these pictures are $12.99 square foot to $15.99 square foot at Floor & Decor. I wouldn’t use them where they stand the risk of getting wet a lot or where grease is an issue, but I do think that a basement wet bar would be a great place for them. Or, in a craft room behind a counter…oh! What about an entire wall of it as an accent? I like the element of warmth that they add in an unexpected way to an area – large or small. They lend themselves to the industrial style that is popular right now. 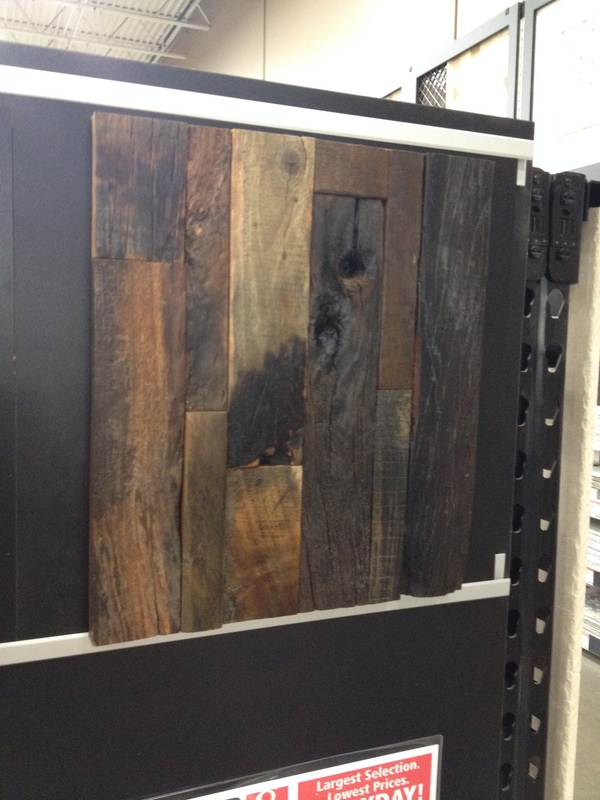 That unfinished, reclaimed look in wood that is mixed with metal and exposed elements in lighting. You’ve seen it. Think West Elm or Restoration Hardware. Not really for you? Check back next week and see if that photo is more your style. I'm an interior designer living in Denver who has a wide range of interests. I have many resources for restaurants, classes, design, films, etc. that come across my path and I enjoy sharing them with people. 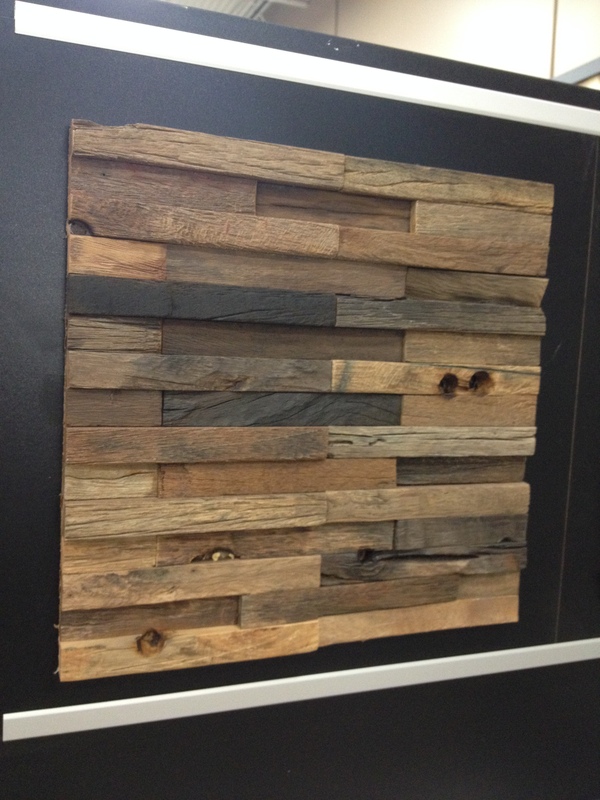 This entry was posted in Interior Design and tagged Interior Design, Tile, Turn of the Century Industrial Style, Wood. Bookmark the permalink.